A roof doesn't last forever. In fact, if your roof is more than 15 years old, it's time for a complete roof replacement. M Roofing, LLC has been in the roofing business since 2000 and has earned a reputation for superior roof replacement throughout the local area. All M Roofing, LLC roofers are state certified for residential roof installation, repair, and replacement. Our goal is to provide the best possible service for our customers, along with top quality roofing expertise. Call (832) 856-3853 today to discuss your roofing needs. If your roof is showing any of these signs, it's time to call the professional roofing contractors at M Roofing, LLC: (832) 856-3853. The professional roofing experts at M Roofing, LLC have more than 19 years of experience replacing roofs for residential customers. M Roofing, LLC is licensed, bonded, and insured to provide you with the best roofing expertise and customer service. Next, we install a roof base with plywood and a watertight membrane to direct rainwater and melting snow to your gutter system. The last step in the roof replacement process is to install your new roof shingles. For quality roof replacement, call M Roofing, LLC: (832) 856-3853. When the M Roofing, LLC roofing crew arrives at your home, you'll know you're in good hands. 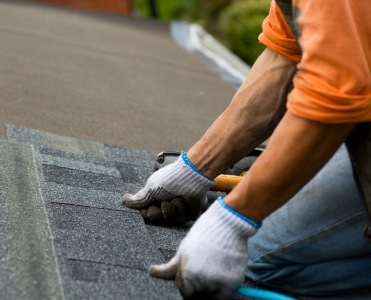 Our professional roofers are courteous, knowledgeable, and respectful of your property. We begin by protecting entryways, shrubbery, and landscape lighting fixtures. Call (832) 856-3853 today to find out how easy and hassle-free it can be to have your roof replaced by a professional roofing company.